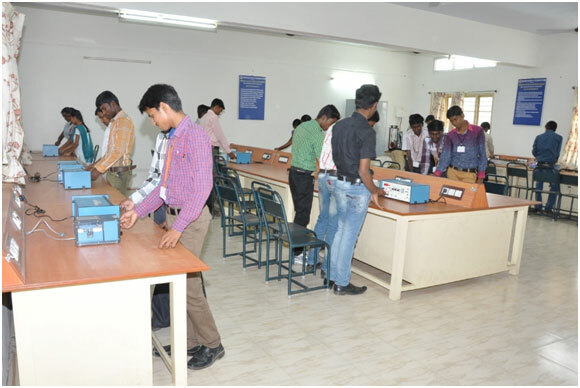 The Department of Electrical and Electronics Engineering was started in the year 2006 with the approval of AICTE and with the recognition of Anna University, Chennai. The post-graduation programme was started in the year of 2012. The Department has excellent infrastructure available for use of the students. It is the endeavor of the management to periodically migrate to the latest technologies to keep pace with the ever changing needs of the industry, so that our students come out with knowledge of latest trends and technology. The department having 16 qualified faculty members and 5 technical staff. The department has been constantly producing eminent engineers with innovative skills. The department has modernized equipment’s in electrical machines, control systems, Power electronics, electric drives, digital signal processing and power system simulation labs. Being a core branch, enough care is taken that the engineers produced by the department are abreast of the emerging technologies, so as to meet the today’s industrial challenge. We have been organizing many conferences, symposiums, workshops and guest lecture to encourage the students to improve their personality and extracurricular skills. To offer high quality education in Electrical and Electronics Engineering to meet the global challenges technically, professionally and ethically with life-long learning motivation. To provide strong theoretical foundation, practical skills, professional conduct and critical thinking and to create Engineers for meeting the current and future demands of our nation and the world.